Chris Christie on Born to Run: GOP hopeful pens love letter about Bruce Springsteen album. 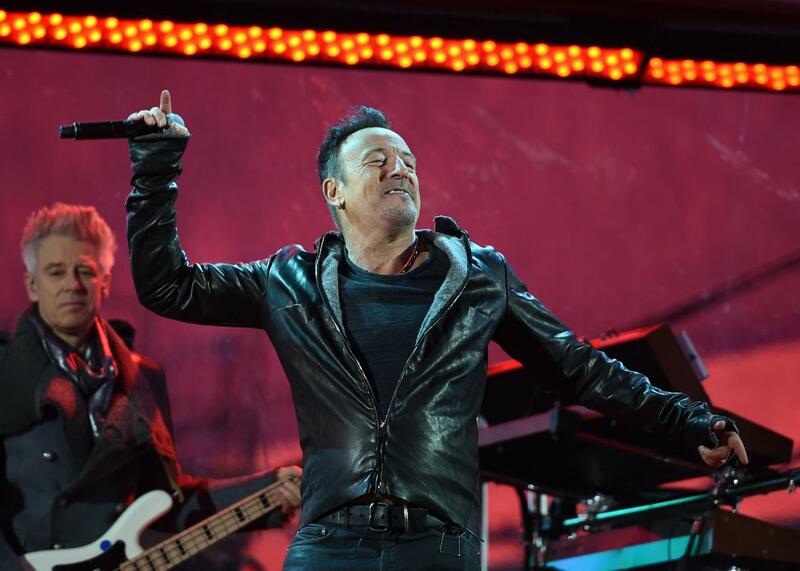 Bruce Springsteen performs during the World AIDS Day in New York on Dec. 1, 2014. Christie has made no secret of his Springsteen fandom. He claims to have seen the Boss in concert more than a 130 times, and to have cried after giving the singer a hug in 2012. Still, the GOP hopeful’s tastes have apparently changed of late. Asked during an interview earlier this summer to pick a favorite between Springsteen and Jon Bon Jovi, Christie chose the more blow-dried of New Jersey’s two native sons. I’m sure that had nothing to do with the fact that Bon Jovi’s proved quite a bit more receptive to Christie’s love than Springsteen has. For more on the governor and the Boss, check out this 2012 Jeffrey Goldberg piece in the Atlantic. For more on Born to Run, check out this 2009 Louis P. Masur piece in Slate.